Yesterday I gratefully looked to Weekly Writing Challenge for inspiration, so today I decided to explore the WordPress Weekly Photo Challenge. You can click on the links to learn more. This week’s photo challenge is to about capturing color. 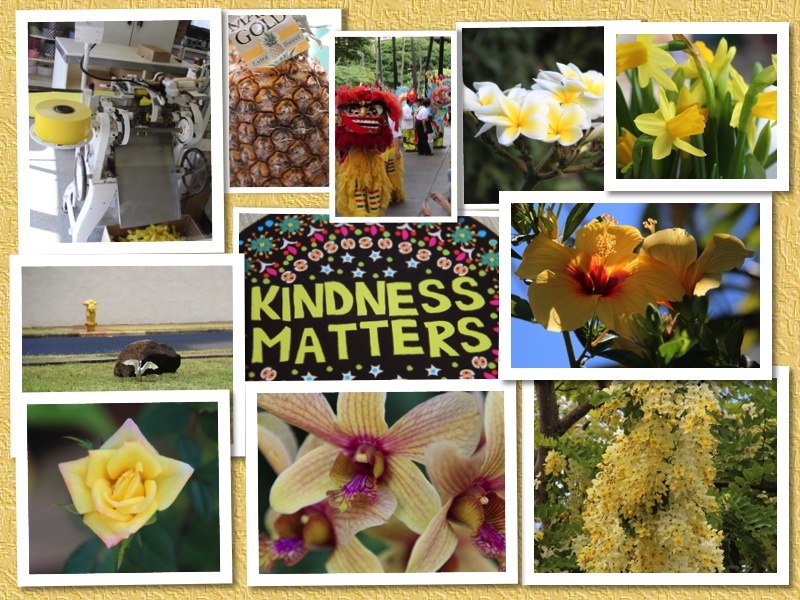 I chose to look through my prior photos for shades of yellow because yellow is known to be uplifting and inspiring. Some even say it can stimulate the mind. May it bring you joy and inspiration. Pingback: Weekly Photo Challenge: Color | Thinking aloud…. Aloha! Beautiful depiction of yellow. Mahalo. I love your post on color too. Such a beautiful place.